About the Aces: There is progress amid the losses, according to coach Bill Laimbeer. The Aces lost Sunday to the Phoenix Mercury, but competed with the best team in the league for the better part of four quarters. 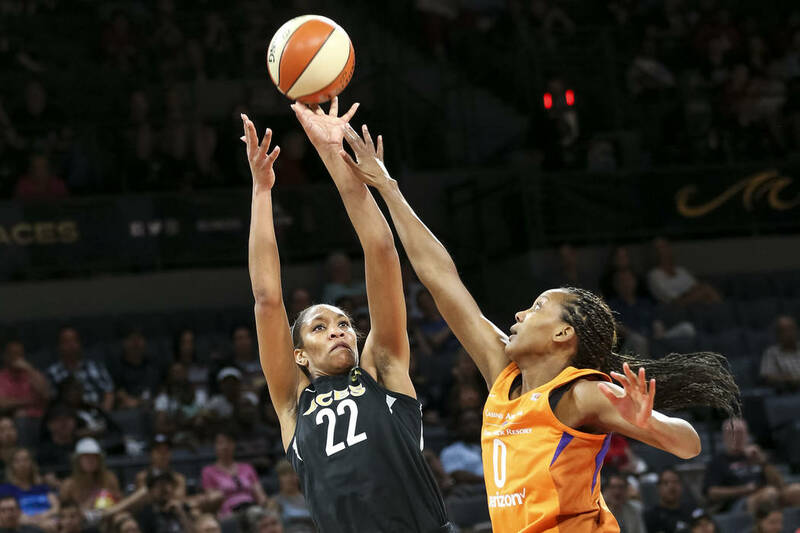 Las Vegas has already lost to Seattle twice this season, and allowed a WNBA record 17 3-pointers in their last meeting. It starts and ends with rookie A’ja Wilson, who had 21 points against Phoenix while navigating the paint around center Brittney Griner. Kayla McBride is coming off a 20-point outing, and Nia Coffey, who missed a couple weeks with an ankle injury, had 11 points and 12 rebounds in her second game back. About the Storm: Third-year forward Breanna Stewart is emerging as an elite player and averages 21.7 points and 7.6 rebounds while shooting 53.7 percent from the field. Jewell Loyd is one of the league’s best guards and averages 18.3 points on 41 percent 3-point shooting. Natasha Howard is good for 15.3 points per game on 58.3 percent shooting. Seattle is second in the WNBA in points per game with 90.2, and second in field-goal percentage at 47.0. It boasts the top offensive efficiency in the league at 110.8 (points per 100 possessions), too, and looks to be one of the top contenders for this year’s title.